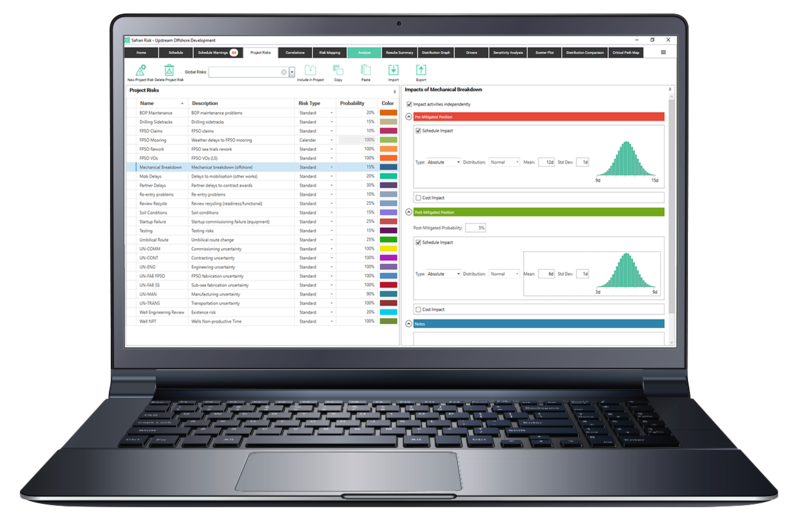 Designed by the project risk experts that brought Pertmaster™ to market, Safran Risk seamlessly combines advanced project schedule risk, duration risk, and cost risk analysis for ultimate analysis integrity. All delivered in an intuitive user interface, interoperable with Primavera P6, Microsoft Project and Safran Project. Safran Risk gives you access to robust, schedule risk and cost risk analysis together on one platform, for powerful integrated analysis and significant time and cost savings. Safran allows a full range of use - from maintaining a simple list of risks in a spreadsheet to performing a detailed quantitative risk analysis, for both schedule risk and cost risk. No more “translating” cost information into a format the schedule can understand. New users can easily perform schedule risk analysis by following the built-in process. The interface eases product adoption and dramatically helps to simplify what would otherwise be a complex process. 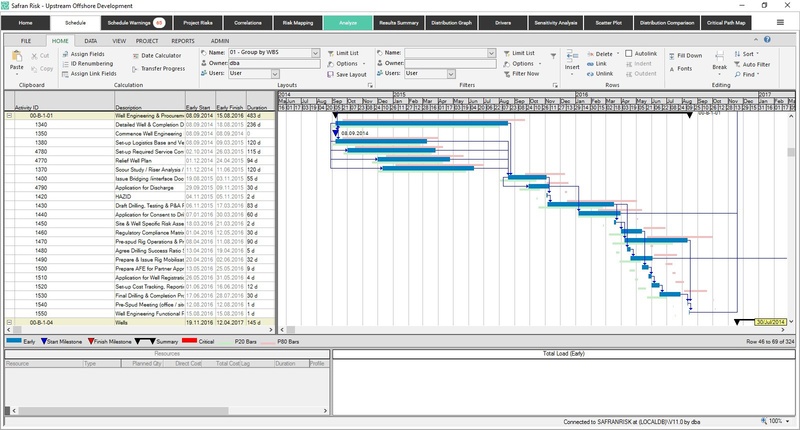 Safran Risk incorporates a best-in-class project scheduler. No need to import and export plans from a separate scheduling tool. See the effects of changes immediately for streamlined risk workshops. Schedule risks, discrete risks, schedules and costs are all together on one platform. Easy-to-read results are produced in real-time, for better, faster issue resolution. Reduced need to operate or maintain separate duration and cost risk tools. Disparate information is brought together and connected for more accurate models. 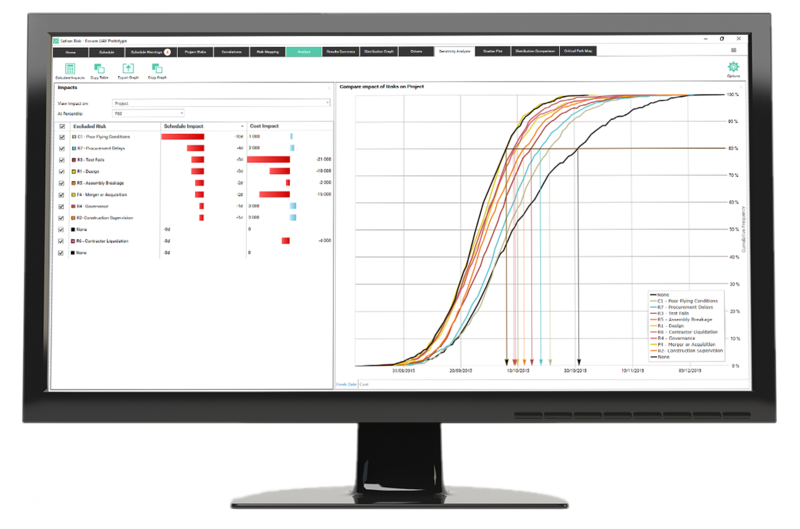 Our cost risk tool can be used to perform a cost-only risk analysis from the project discovery, identification, or bid phase – all the way through to planning, execution and closeout. This information can be combined with schedule risk information to create a powerful integrated schedule and cost risk model, which builds on the team’s existing knowledge and understanding, without the need for complicated resource loading of the schedule. Make project risk analysis a more transparent process. Safran Risk gives you step-through capabilities to validate the risk model and presents the results in clear, modern, graphical reports. You can even capture an exact picture of how each simulation affected the schedule after completion of your analysis, then export your results to populate your own reports. Enjoy a far simpler risk management process, with the ability to create or modify project schedules directly within Safran Risk. directly from Primavera P6 or Microsoft Project. schedules natively from Safran Project. schedules without the need to re-import. Quickly compare pre and post mitigated scenarios. 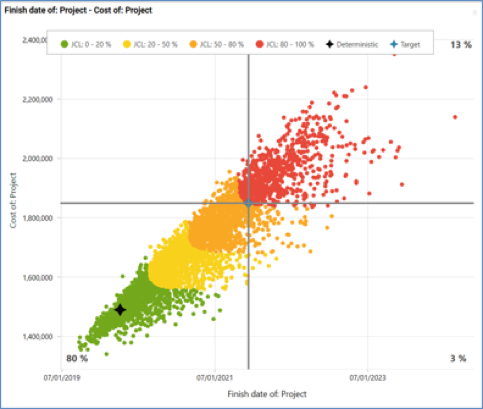 Make informed decisions based on the quantified impact of the project schedule and cost. Automatically monitor and validate the quality of your schedules from a risk analysis perspective with our Schedule Check. for common issues such as open ends and constraints. any potential issues found with interactive links back to the schedule. and fix issues or accept them for use in the analysis. Building a risk model can be a time-consuming process. By providing instant feedback on the relevant impacts as the model is being built, the real-time analyser in Safran Risk not only speeds up the process but also makes it a more interactive experience. 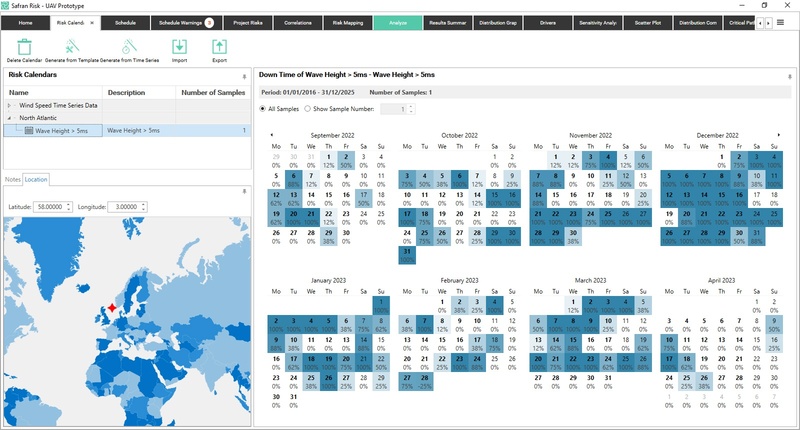 Safran Risk is unique in allowing users to create risk calendars from existing time series data. This addresses one of the major concerns with any risk analysis, the validity of the input information, and maximises your investment. When this information is not available, risk calendars can also be created from templates used to define the relevant downtime periods. For project driven organisations looking to improve understanding of project risk and the impact on schedule and cost, Safran Risk is the leading solution. With Safran Risk, you can proactively take action to deliver successful projects, on time and on budget.